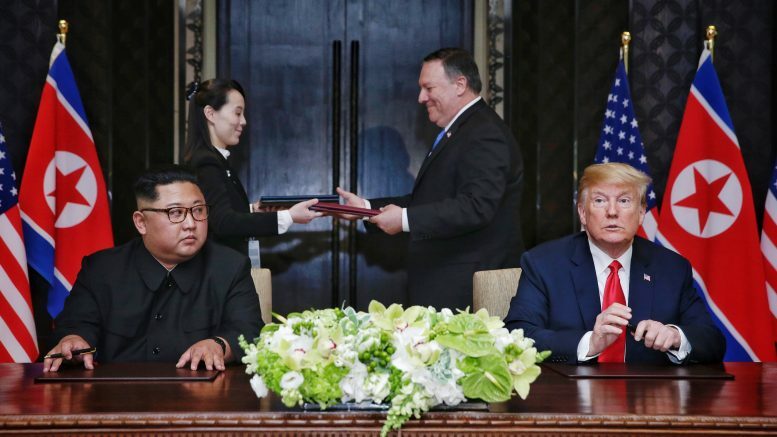 As expected, North Korean led its Wednesday programming with a series of reports on the Tuesday summit between Kim Jong Un and Donald Trump. 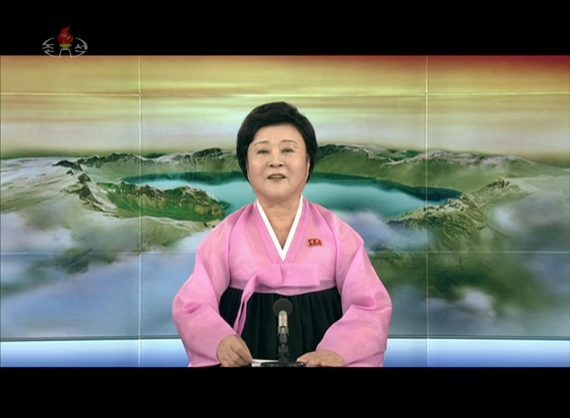 The coverage was led by a report anchored by Ri Chun Hee and was broadcast at 15:09; 17:00; 20:00 and 22:07. Ri Chun Hee presents news of Kim Jong Un’s meeting with Donald Trump on Korean Central TV on June 13, 2018. But, the broadcaster didn’t use any still images to illustrate the report so unless viewers had seen the Rodong Sinmun, they still hadn’t seen an image of Trump and Kim shaking hands or standing next to each other. Despite North Korea’s constant bashing of the U.S., the president rarely if ever appears on screen so many North Koreans are probably unaware of what Trump looks like. That is could change on Thursday, if KCTV editors are on-top of the footage gathered in Singapore. At some time in the next few days, state TV is likely to broadcast a documentary on Kim’s trip to Singapore that will be the first time they see any video from the summit or his movements around the island nation.